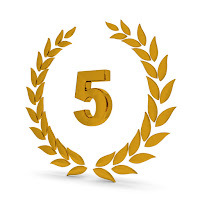 People born on 5,14,23 of any month are said to be of number 5. Lets talk about their married life . what ​sort of thinking do they have for their family. Lets see how are the spouses of each gender. They are very choosy about their life partner but whosoever they marry they love them equally. They are naturally attracted towards people born in September and February. The most successful marriage lives are the ones with number 5.Their partner selection is the best. They expect a lot of honesty from their spouse. They love to see their wife well dressed and they love to prove themselves as good husbands likewise they also have tendency of maintaining one more girlfriend alongside. they love their home and kids so much that even if they are outside somewhere their mind still remains with their home. They tend to overspend to fulfil the demands of their family. They are liberal in terms of clothes. They are also interested in outside world alongside inside. They take a lot of part in activities or organise them successfully. They are cleanliness freaks and at times run things just as a commander would do .